The six pilgrims traveling to India to visit our partner church in Mukhap, India will be leaving this Sunday, January 27 right after church. We will be writing a blog that you can follow here and we will post regularly, limited only by lack of Internet access. 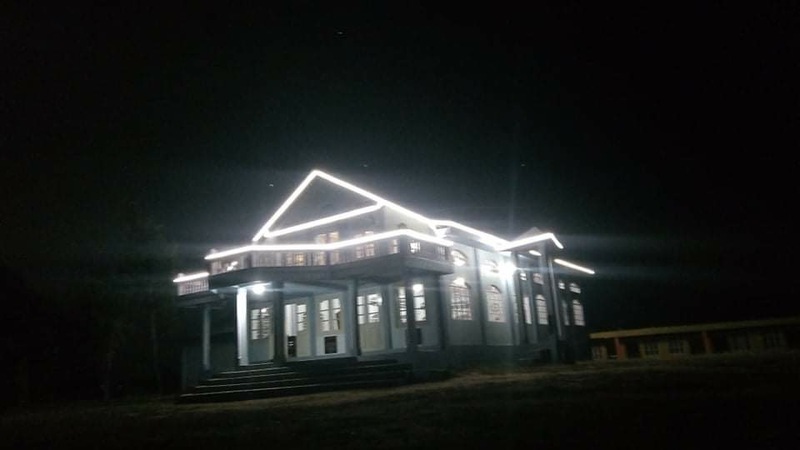 Mukhap church lit up at night in preparation for their anniversary celebration.